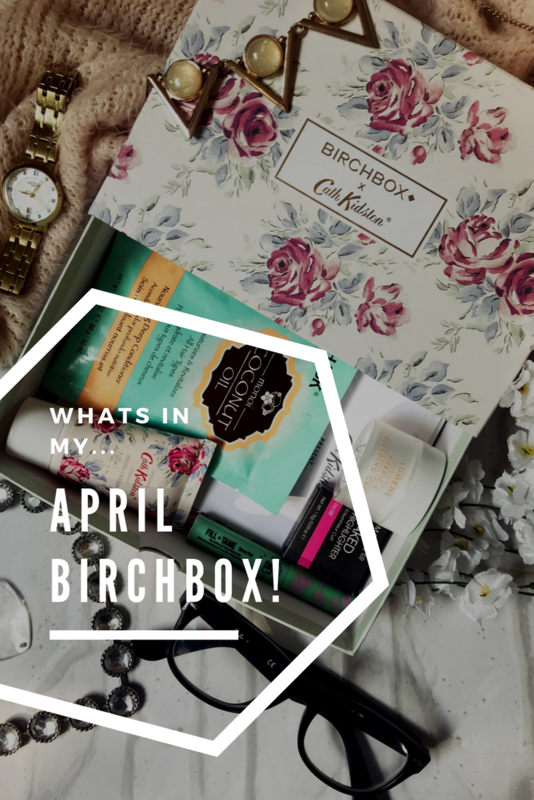 This month I think something went wrong with my order and I only received my Birchbox at the end of April that's why this post is coming a bit late! 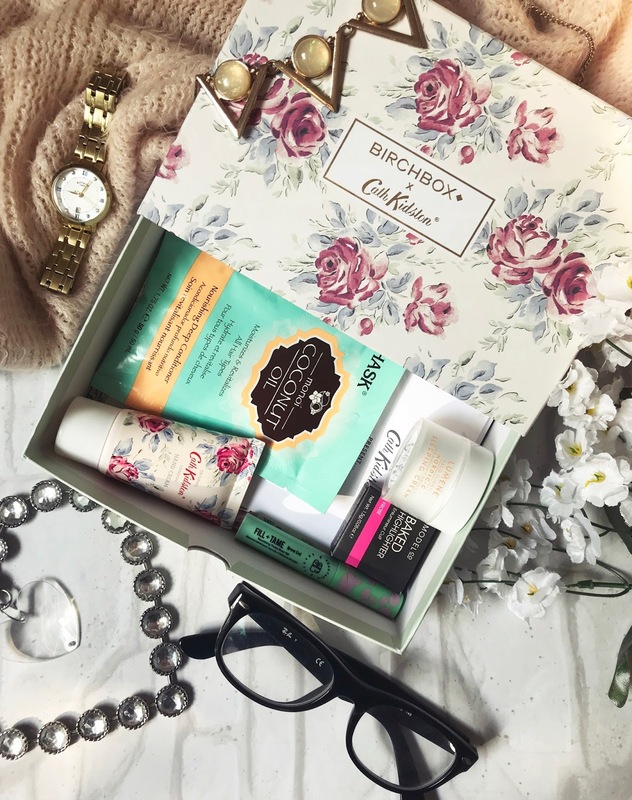 I was excited all month to try this box out because they did a collaboration with Cath Kidston. Here I'll show you everything I received and what I'v been able to try out. Once you received your last box you get the chance to pick which colour highlighter colour you wanted and I picked the colour Froze because of the gorgeous colour it gives and Iv wanted to try a colour a little different to what I usually use. As soon as the box arrived I wanted to try it out straight away. The sample size of this highlighter is tiny at just 1.5g but because its a highlighter it should last a long time. This is a baked highlighter so there are a few different colour mixed together, the main colour is a white then there's pink and yellow also mixed in and when they are mixed in together you get a really nice pinky tone highlighter. When I tried it out I was wearing a gold eye look and it didn't go together perfectly but if was wearing a sparkly pink eye shadow look it would go together perfectly. In the photos that I've seen on social media of the different boxes that people have got I was really excited to see if I would get the Fill + Tame Brow Gel because I'm always on the lookout for new ones to try out! The only problem with this product is that I was sent the brunette shade instead of the black shade and the colour is slightly too light for my brows, I applied a small amount pf the product just a t the ends ends of her brows at see if it keeps them in place and it did all day! I also love the size of the applicator because its small enough to fill the brows without the product going everywhere. This has made me want to purchase the product again but in my right shade! If you came and looked around my house you would probably find about 10 different hand creams hidden in bags. I haven't tried this Cath Kidston one before but its the perfect travel size that I can fit into all of my bags when im out and about. The scent of this hand cream is really fresh and clean smelling (im not good at describing scents) What I also really like about this hand cream is that it sinks into the skin straight away and doesn't leave your skin feeling oily and slippery. It leaves your skin feeling really smooth and soft and it also keeps the dry skin at bay. This cream is probably my favourite product that I received from the April Birchbox, its not a product that I have tried before because its an overnight mask, Your skin does that most cell turnover at night so its important to keep it moisturised before bed. This mask contains Cloudberry seed extract, Vitamin C and Hyaluronic Acid which are extra hydrating products to keep your skin looking and feeling destressed and moisturised. I still apply my everyday moisturiser but then I also apply a thicker layer of this mask and when I wake up my skin feel lovely. I have been using this mask since I received this product and I will definitely be purchasing the full version when I run out of this pot. This is the one product that I haven't had the chance to try it out yet but im really excited too. When I got this product I just had my hair done so I've not washed my hair just yet but this product sounds perfect for my hair type. This moisturiser says that its a restorative moisturising treatment that will revitalise all hair types. This also contains Monoi coconut oil which is known for its re-hydrating and softening properties. When I use this product I will concentrate it on the ends of my hair because that is the driest parts. I really like being subscribed to Birchbox because I get excited to see what I'll receive each month and also to try out new products that I haven't tried before. Have you tried any of these products before? Ooh I'm loving the sound of the overnight cream! Hyaluronic acid is meant to be such a game changer for the skin so I've been looking for a good product with it in for ages. Maybe this will be the one! 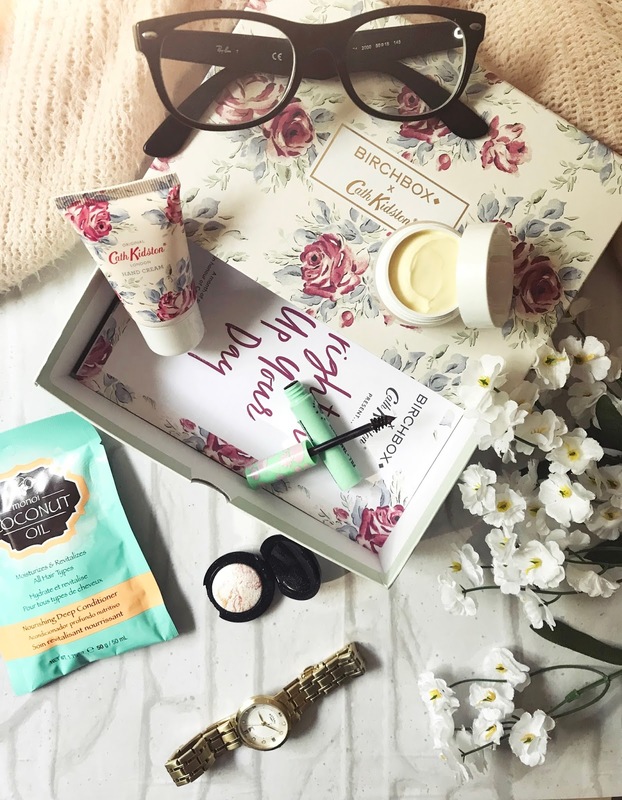 How cute is that hand cream aswell, Cath Kidston are always on point with designs and making them adorable! I mean, you just cannot beat that box design. So pretty. One thing I've really noticed from seeing the box contents is that you really do get your money's worth with Birchbox.